Give the gift of adventure. 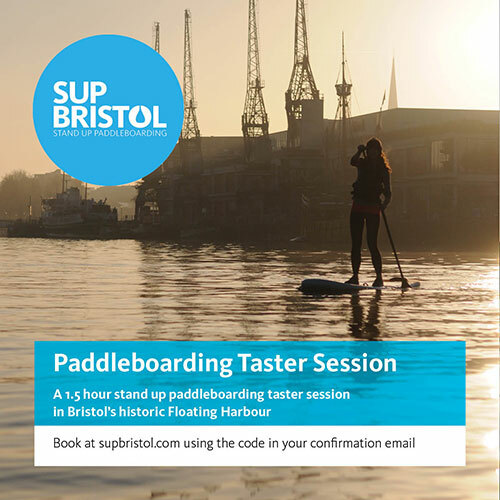 Explore Bristol by stand up paddleboard with store credit for use against all of our many sessions or products. Download our digital gift cards for any amount from £10 to £150. Store credit can be used against everything we offer – regular SUP sessions, trips away as well as equipment. Don’t want to use all of your credit in one go? Keep track of your balance and use it up over the season. Perfect for regular paddlers! When do sessions run? Our sessions run during British Summer Time (end of March to end of October). Will I get a physical voucher? No, you will receive an email voucher for you to download and print off. You can download beautifully formatted 6×4″ PDF cards from here to print off. How long do vouchers last? Vouchers are valid for 12 months from the purchase date. Can’t find a voucher for you? We can also do vouchers for bespoke private trips. Get in touch. Click below to order your voucher. You will have an option to send the voucher to yourself or straight to a friend.